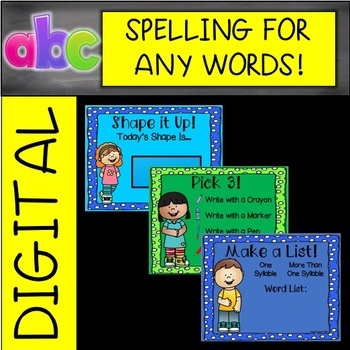 Do you need some fun and challenging ways for your students to practice their spelling words? Do you need those ideas to be DIGITAL? This is perfect for you! This can be used DAILY and is color coded to help you plan your week with a different activity every day. 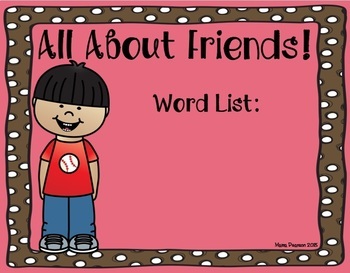 This is also editable so you can add your list of words and even differentiate depending on the activity and the needs of your students. All About Friends, Family, and School! Thank you for your interest in my product! I am a National Board Certified Teacher and have 14 years of experience teaching in the first grade. I had one year of experience in middle school social studies. Saving educators TIME and MONEY is my passion. © Mama Pearson All rights reserved by author. 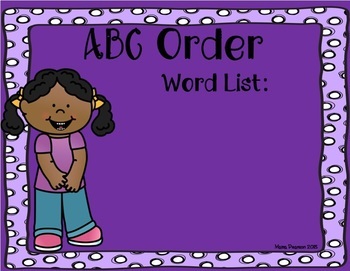 This product is to be used by the original purchaser and is a one classroom license. It may not be posted on a public website where others have access to download it and it may not be translated into another language and then posted for free or for sale.